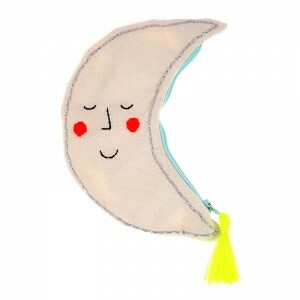 Carry the moon everywhere you go with this stylish moon pouch, crafted with cream cotton canvas with cotton lining. 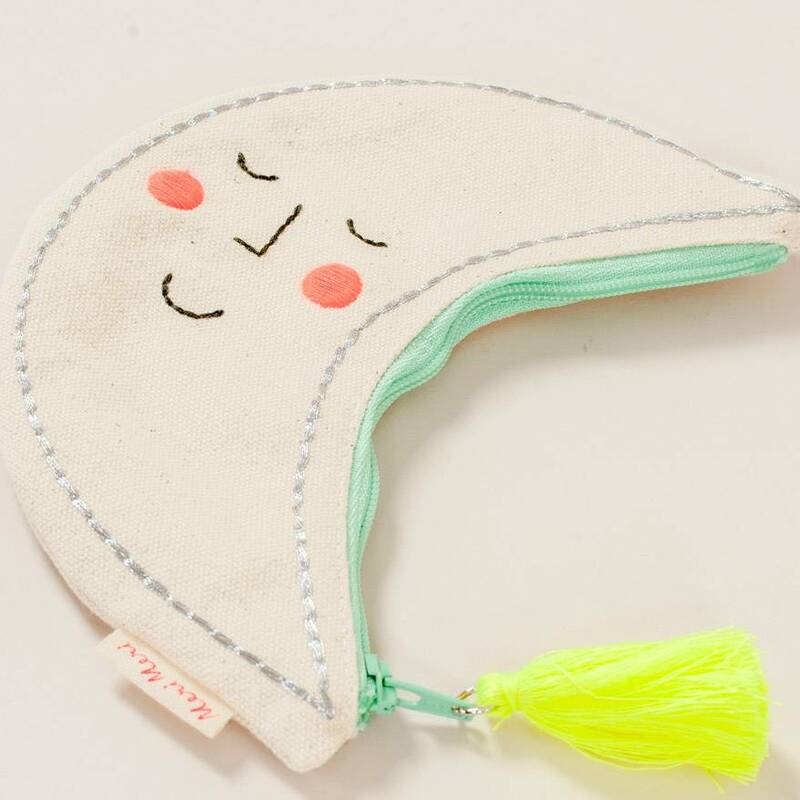 The pouch is decorated with silver embroidery thread and comes with a neon yellow tassel zipper. Pouch size: 5 x 7 inches.